Hendrix, co-founder of the Nashville, Tennessee-based GreenPal, considered alternatives like allowing one or more staffers to work remotely or relocating their workstations to different places in the office. But that wouldn’t have gotten to the root of the problem — these staffers, whom Hendrix calls “high-performing yet headstrong,” didn’t want to work with each other. 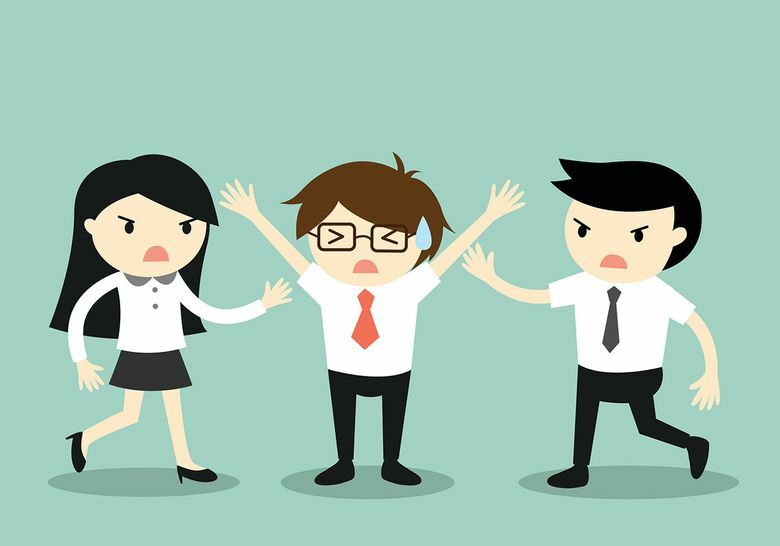 Workplace animosity that goes beyond the occasional disagreement can have a variety of causes including personality conflicts, jealousy over salary and assignments, a stressful atmosphere in general. An owner should start searching for a solution by listening to staffers and taking their feelings seriously, even if the boss doesn’t agree with their point of view, says Rick Gibbs, a consultant with the Houston-based human resources provider Insperity. Lane, CEO of employee survey company Inventiv, didn’t know there was a problem until “my top designer comes into my office on the verge of tears saying, ‘you need to go deal with this jerk.’” The “jerk” was a top developer, whose emailed responses tended to be terse and gave the impression that he was a cold, rude person. Lane persuaded the staffers to meet one-on-one. “Half an hour later, the designer came back to my office to let me know they had a great talk and would start relying more on face-to-face meetings or phone calls to share ideas whenever email conversations stopped feeling productive,” says Lane, whose company is based in Nashville. “I’m going to give pretty candid feedback so they can understand where their perspective might be unhealthy for them,” says Felderhoff, an HR executive at the accounting software company in Austin, Texas. He then encourages the staffers to find a way to work out their problems. “If you can raise their awareness about different personality styles and how to work together, you may have a greater level of success” in resolving the situation, says Lewis, CEO of OperationsInc, based in Norwalk, Connecticut. “They’re strong personalities and they are looking to be top dog and favorite child,” he says. “If you’re on a predetermined side, you’re not going to work it out,” he says. Gibbs, the consultant, has worked with owners who encouraged what’s known as creative tension — bosses believe that conflict pushes staffers to work harder and come up with better ideas and results. But creative tension doesn’t make staffers feel safe, Gibbs says. “It’s important that the people doing hiring are in tune to how people are going to get along and assess that prior to making the hire,” says Barbarite, who owns two companies, a coffee sweetener maker named Javamelts and a flag pole manufacturer called Pole-Tech, in Smithtown, New York. “They don’t play nice in the sandbox, so they can’t stay,” Barbarite says.